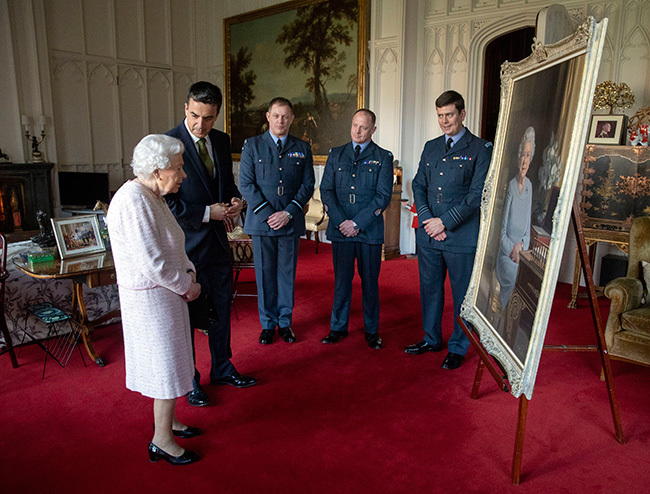 While the Queen was given a first look at a new portrait of herself at Windsor Castle on Friday, HELLO! 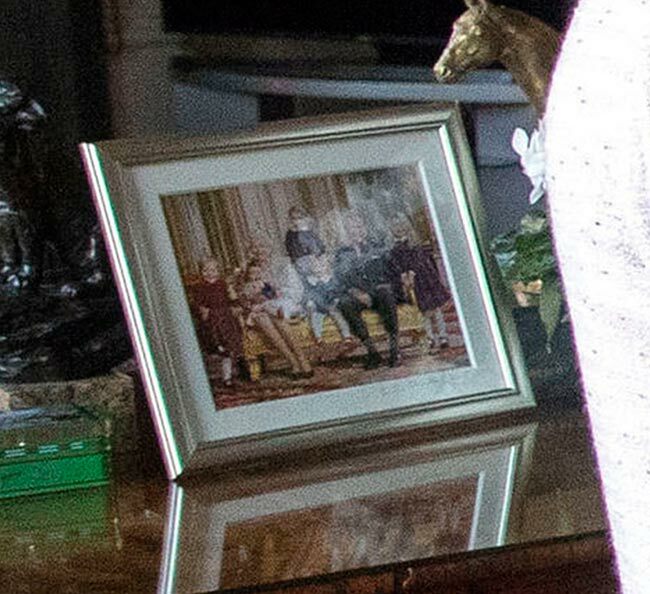 couldn’t help but notice the sweet family photo she had on display in the background, which shows herself and Prince Philip with all of their great-grandchildren. 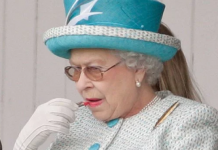 The never-before-seen snap appears to have been taken a couple of years ago, as both Prince Louis and Zara Tindall’s youngest daughter Lena are absent, while Princess Charlotte – who looks around one – sits on the Queen’s lap. 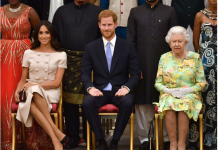 Also in the photo is Charlotte’s big brother Prince George, who stands behind the sofa his other family members are sat on, their cousins Isla and Savannah Phillips, and Zara and Mike Tindall’s eldest daughter Mia. 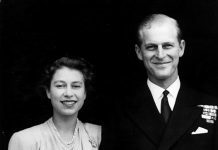 Of course, the royal family has grown considerably since the photo was taken; while Prince William and Kate welcomed their third child Prince Louis in April, Zara’s daughter Lena was born in June, and Prince Harry and Meghan have since announced that they will welcome a baby of their own in spring 2019. 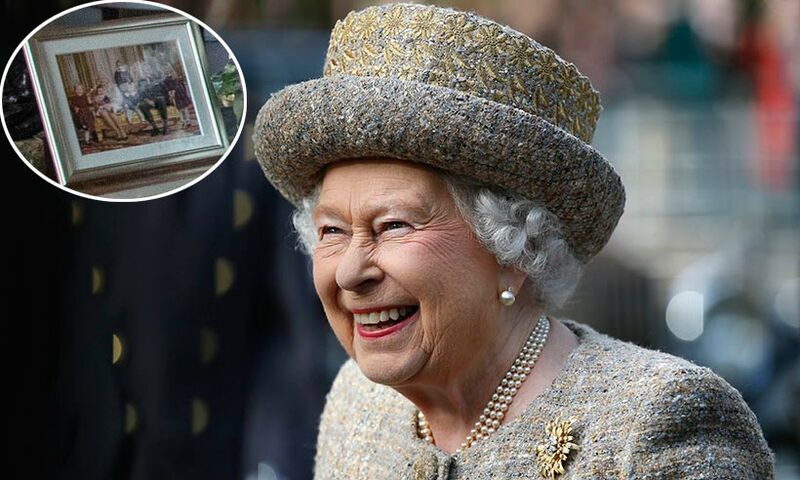 The Queen has several precious family photos on display around her royal residences, and often shares glimpses at portraits that have never been shared with the public. 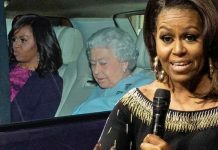 In the past this has included a photo of her grandson Prince Harry with then-fiancée Meghan Markle, and a previously unseen wedding photo of granddaughter Zara and her husband Mike on their wedding day. 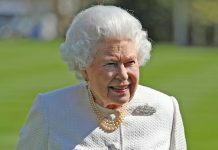 Her Majesty also unveiled something else extra special at Windsor Castle on Friday – her Christmas decorations! The castle has been transformed for the festive season with a 23ft tree adorned with some 7,000 lights taking pride of place in St George’s Hall, while a second 15ft tree has been decked with gorgeous red decorations in the Crimson Drawing Room. Both trees were grown in what is effectively the Queen’s back garden, Windsor Great Park.